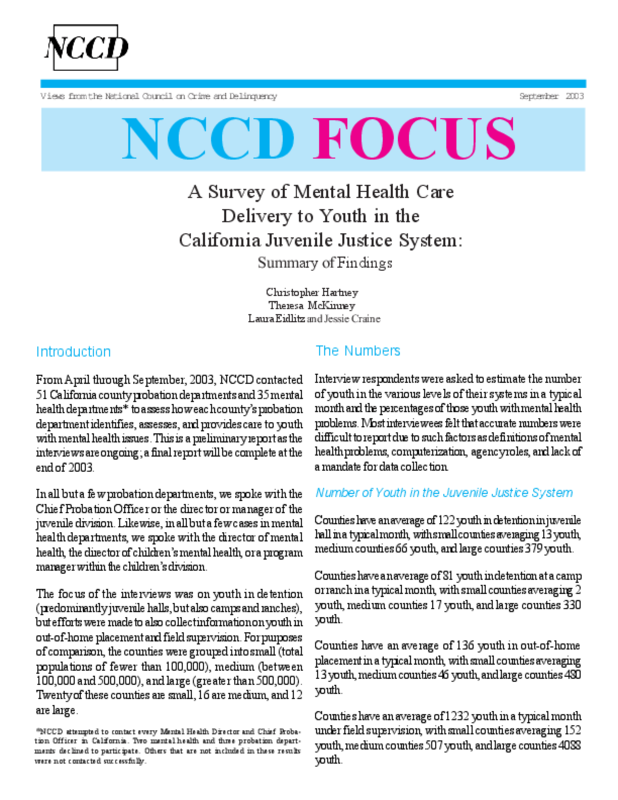 department identifies, assesses, and provides care to youth with mental health issues. This is a preliminary report. Copyright 2003 National Council on Crime and Delinquency. All rights reserved.